I don’t know a lot of people that need an excuse to indulge in chocolate or chocolate ice cream, but for those that do – today is International Chocolate Day! The 7th of June was also International Chocolate Ice Cream Day, so if you missed this delightful day like I did; you have another excuse to eat chocolate or chocolate ice cream! 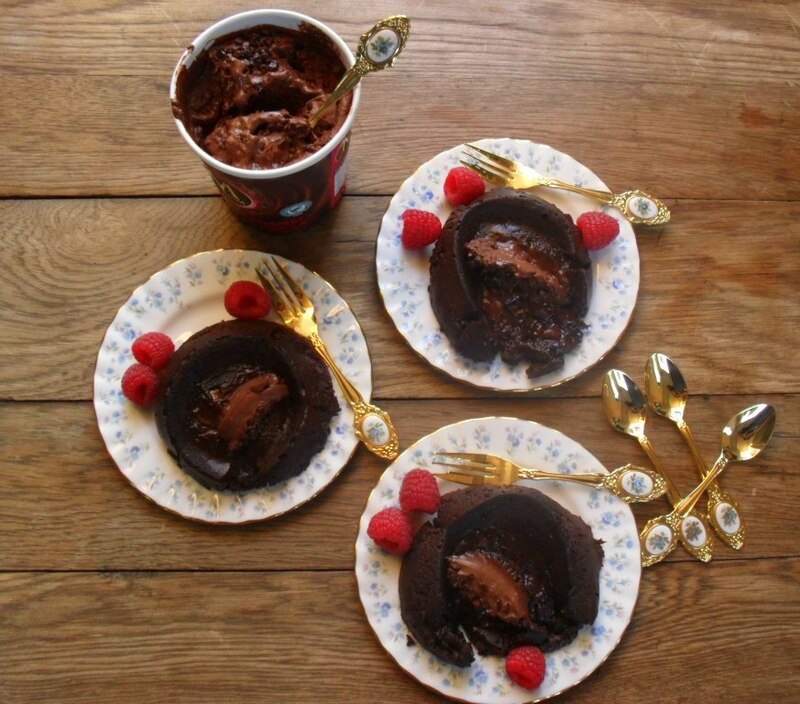 This chocolate fondant pudding with a raspberry centre was inspired by the Magnum Chocolate & Raspberry Pints. 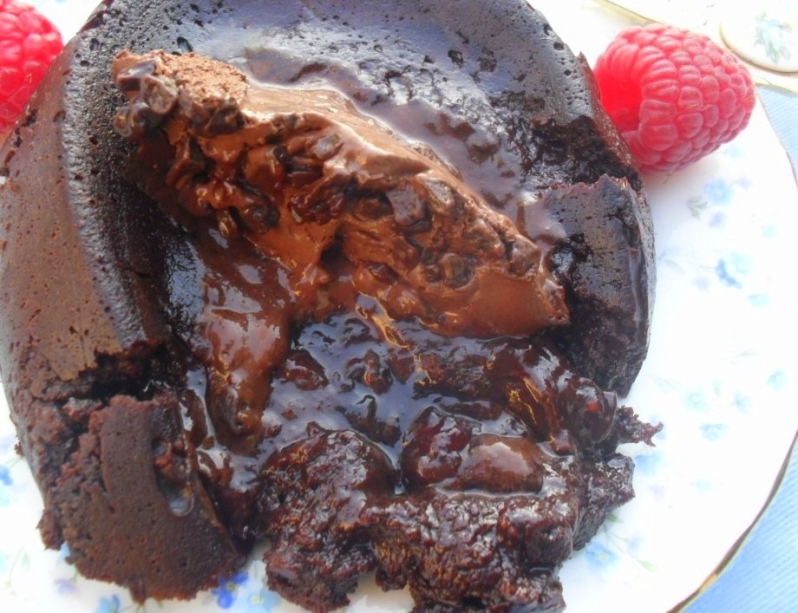 Chocolate fondant or lava cake, as it is sometimes called is a small cake with a runny chocolate centre. I have added some raspberry jam to the centre for an extra bit of surprise. 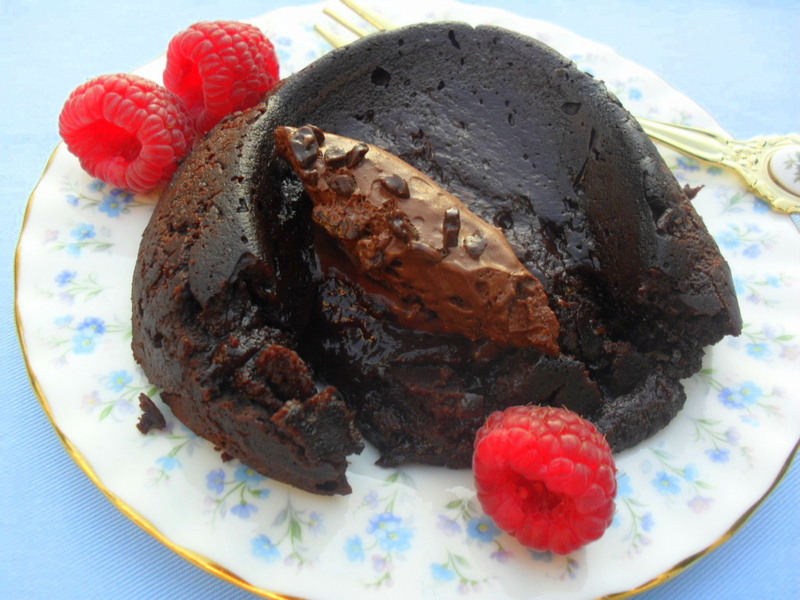 This chocolate fondant with a raspberry centre is an excellent dessert to serve at the end of a special occasion meal. 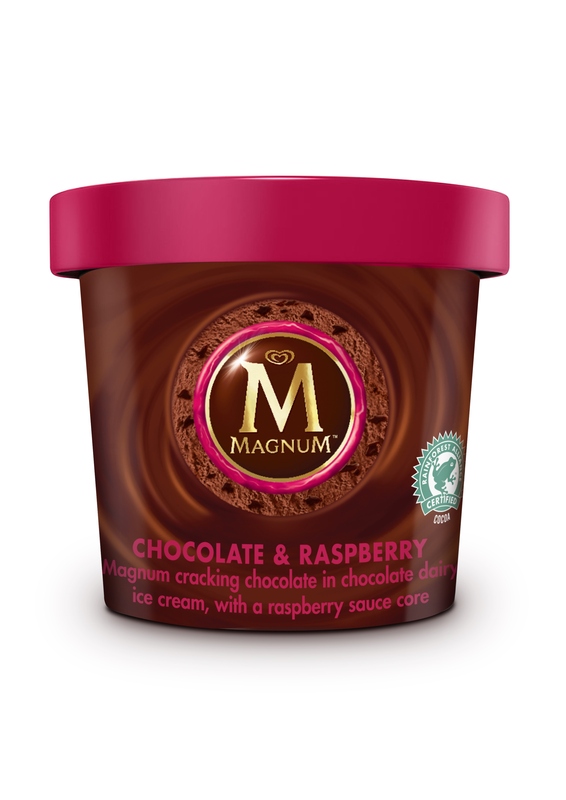 If you don’t want to go through the trouble of baking a dessert just serve some ice cream – Ola Magnum pints, of course! Or why not serve both for some extra decadence? Grease 4 ramekins with butter and sieve some cocoa powder into the moulds. Melt the chocolate and butter together and cool down slightly. Beat the eggs, egg yolks and caster sugar together until thick and fluffy. Stir the chocolate mixture into the egg mix until just combined. Sieve the cake flour over the mixture and fold in. Spoon some of the mixture into the prepared moulds. Spoon 15ml raspberry jam onto each of the four mixtures. Top with the remaining chocolate mix. Place the ramekins onto a baking sheet and place into the oven. Cook in the pre-heated oven for 14 minutes. Remove from the oven and cool down for 2 to 3 minutes. 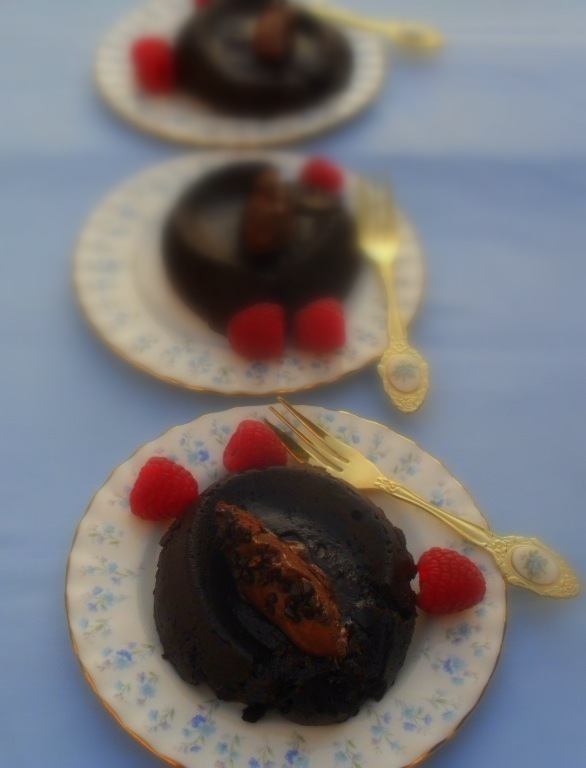 Slide a knife around the edge of each fondant and remove from the moulds onto serving dishes. Serve immediately with some fresh raspberries and ice cream (optional). 🙂 I should also be on diet!! 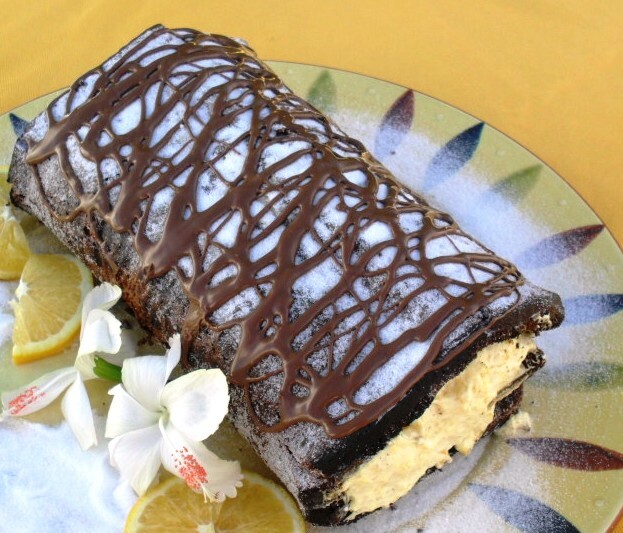 Do try this when you want to treat yourself – it is delicious! I want to climb into my screen and devour these – they look scrummy! It was really delicious – thanks, Tandy! If it has chocolate, I’m for it! Although, I must say that for ice cream I adore caramel too. The pud looks to die for. What would happen if one substituted milk choc? 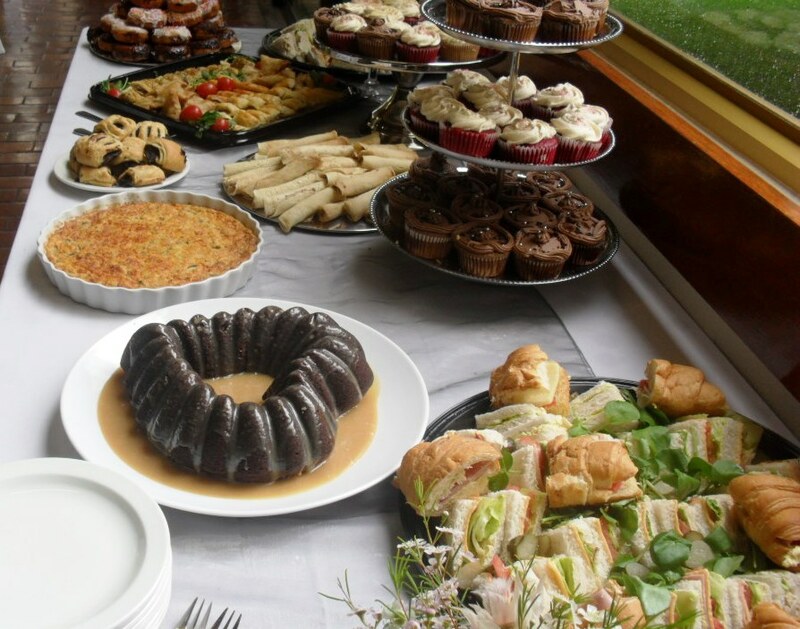 I would like to invite you to check out our site mytaste.co.za Adding your blog to our site will make your recipes available to many more users and help you get more visits to your blog. Our service is free and can you would be able to leave us any time. I hope to see you there soon!